The school holidays are the perfect time for your child to reconnect with their inner creative. 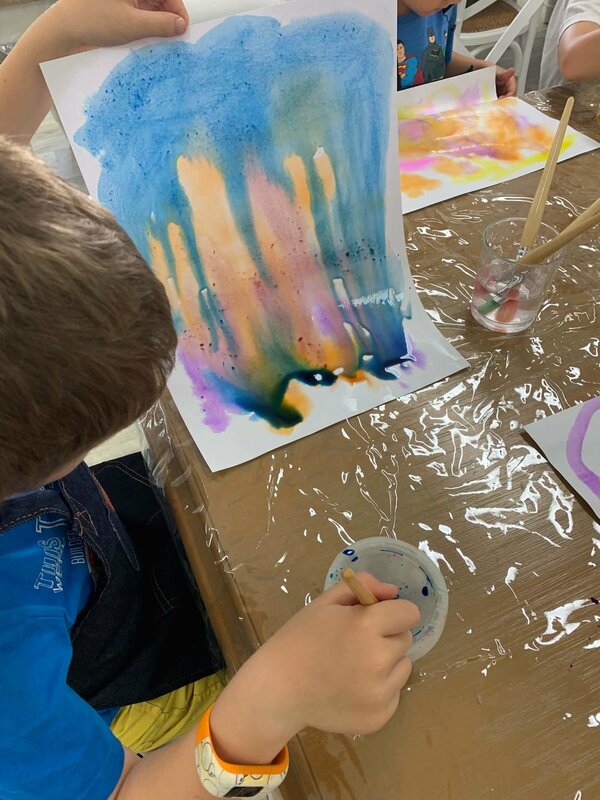 We hold all day school holiday workshops where we place all our focus on the process for art making, where your child is invited to get creative, engage, explore and experiment. Feed your child’s curiosity in our one-day workshops packed with art experiences and resources to ignite their senses. Think paint, tools, lights, motion, sculpture, slime recycled materials and more, used in innovative ways to inspire open-ended creativity. And unlimited imagination! The focus of our art sessions is on discovery and self-expression. Children work at their own pace with the freedom to explore ideas. There is no expectation placed on what the children create, rather the process of making, that is, the discoveries they made, the problems they encountered and solved, the choices they made and their exploration of the resources provided. Your child will gain leaps and bounds in problem solving, perseverance, experimenting, collaboration and confidence. Working in small groups or individually, we’ll gently guide your child through each experience designed by passionate early childhood educators.